EvoPro Racing has been on the attack and also getting up in the sprints. And today when the New Zealand Cycle Classic hit he climbs, yellow jersey Aaron Gate and team mate Daniel Whitehouse were at the head of affairs. Irish team EvoPro Racing has been collecting more podium finishes at the New Zealand Cycle Classic. And the new team is now on the cusp of winning the race outright. Aaron Gate has been in yellow since winning the opening stage. 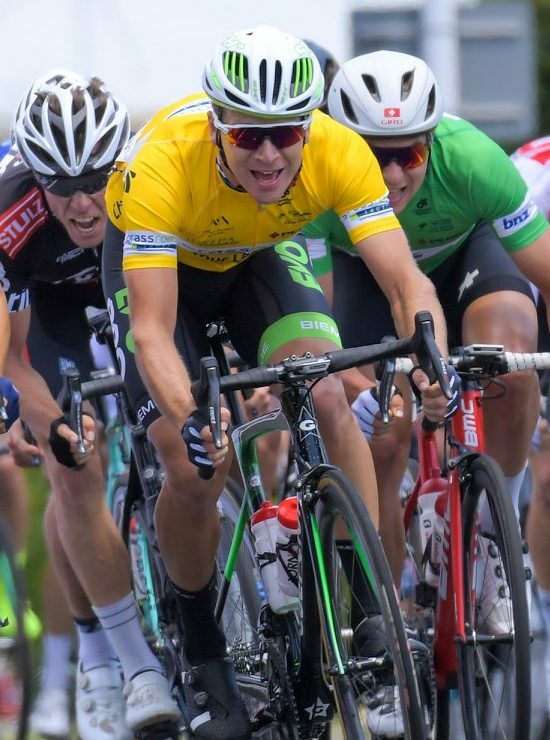 With just Sunday’s finale in Cambridge remaining, he still has control of the yellow jersey. Earlier today the fourth stage of the race, some 144km from Cambridge to Maungakawa Hill, saw gaps emerge. However, while the field split to pieces because of the final climb, Gate and team mate Daniel Whitehouse were 3rd and 4th across the line. Aaron Gate was just seven seconds down on stage winner Jesse Featonby (Oliver’s Real Food) and just five seconds off Jay Vine (Nero Bianchi) in 2nd place. And because there were gaps behind Gate, he has improved his general classification position and is now odds on to take the final yellow jersey. He went into today’s stage with 11 seconds in hand over Matthew Zenovich (St George Continental). That duo put just over one minute into the main field on the opening stage. They then maintained those positions after the following two stages came down to bunch sprints. Featonby wins today’s stage atop the finishing climb, but Aaron Gate was just behind and kept his race lead. 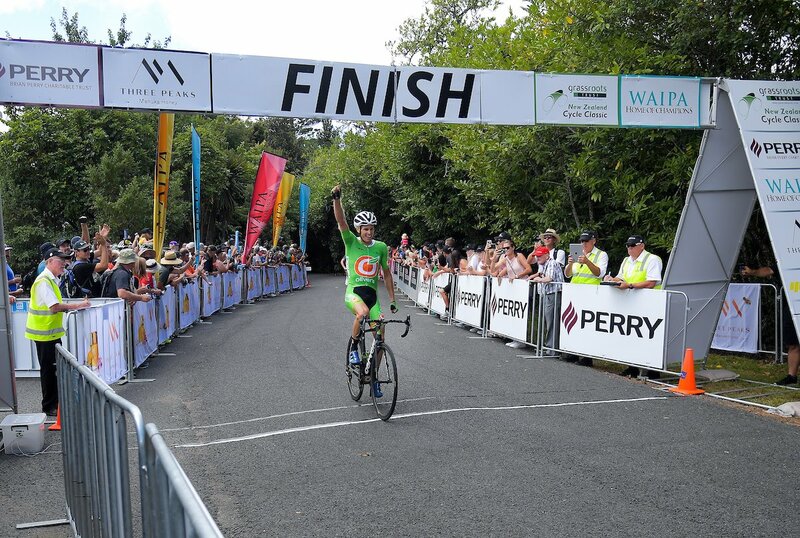 EvoPro Racing’s Shane Archbold was runner-up on stage 2 and Gate was 3rd on stage 3. After today’s stage 4 Zenovich has lost his second place overall, with stage victor Featonby now 2nd at 1:09. Then comes Vine at 1:15 followed by Whitehouse in 4th overall at 1:28. The first seven riders are all within two minutes of Gate’s yellow jersey but after that the gaps are bigger. And having come straight into the race on the back of his UCI World Cup track appearance in New Zealand, Gate has displayed great road legs. He has been the best breakaway man in the race as well as performing among the best couple of riders in the sprints and on the climbs. The race in New Zealand carries a UCI 2.2 ranking, the same as Rás Tailteann in Ireland. Claiming the overall win as well as stage 1 and the Gravel and Tar Classic last weekend would be a very tidy performance by the team in its first block of training. And while the overall title still has to be wrapped up tomorrow on the final stage into Cambridge, EvoPro Racing is looking very good despite losing Wouter Wippert after he abandoned.